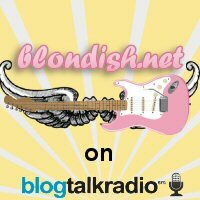 Blondish.net | Is KeywordLuv Really Necessary? You are here: Home » Blogging » Is KeywordLuv Really Necessary? For anyone who does not know what KeywordLuv is, it is a plug created by Stephen Cronin that has promised blog owners that their reader’s comments on their DoFollow blogs can be rewarded by using a keyword, rather than the person’s name. While this is great and there are plugins like GASP that have helped to reduce comment spam and false positives, KeywordLuv really does nothing more than encourage spammers. There are too many people jumping on the bandwagon that using a keyword instead of a name is great. For transparency and social media, this is not ideal. Even back in March 2009, the very developer of KeywordLuv, a big DoFollow supporter removed KeywordLuv because of the spam. The idea of KeywordLuv was great, but with CommentLuv already out there for years, rewards the visitors. While it is acceptable to see ‘Your Name @ Such And Such Company’, the keyword signoff, is seen as spam. It is not surprising to see even an accepted type of sign off be lopped in with the spam too. While I know a lot of people would not agree with me, it really does not give much oomph for backlinks. Even if you make 100 approved comments on Google Page Rank 4 and above websites, you are not going to get much juice. Most of the meat and potatoes in getting link juice is within the article itself and not the comments. And unless I put the exact URL jump to a comment, or if someone else does, that will not matter much. The comments should matter more for engagement, rather than SEO. This is where all the fake blog comment opportunities out there in the freelance world have gone wrong. The ones who get it, encourage real and substantial comments that can add to the blog post’s conversation, not look like spam. How many people are utilizing KeywordLuv when commenting on your site? Out of those who use KeywordLuv- how many of them are actually using it properly? Are their comments (on blogs using KeywordLuv) more substantial, or are you clicking delete on their comment because it seems like spam? Is it really necessary to add that extra plugin to your comment features that really do not do much rewarding in the end, especially when there are better alternatives like CommentLuv? I once used KeywordLuv but then I found that I felt more happier without it. I agree with your point – this function encourages SPAM. However I believe that it got some advantages too and it's not too harmful putting it in your site. Keywordluv is doing fine as long as it is in the hands of trustworthy and knowledgeable webmasters and bloggers. If bloggers look after their blog hygiene, then chances are that the comment is not spam and all users profit from commenting on that page. I think it's a win/win for everyone. The bloogers content is continually getting refreshed, they are getting more people to their blog and getting a lot of followers as a result. And the commentor is getting a nice little plug for their site. I'm not a fan of Keywordluv. I believe in real comment and i don't like to be a spammer. Everyone of us want expose for his site but this can make when u read an article and post a relevant comment. Personally, I don't like reading responses from 'seo professionals' or 'furniture movers'. I like dealing with real people and real names. Spammers will be forever. For me spammers are people who say 'great' or 'good post'. If you add something more – some personal matters – you are not a spammer. I must admit that I hardly ever use the keywordluv options when I comment on a site. I am able to get along fine with commentluv. Although I don't know if it really increases the percentage of spammers more than simply becoming a dofollow blog does. Nile, I think you make some excellent points here and I agree with most. But I'm keeping KeywordLuv (which I just installed 3 weeks ago after conversations on Kim Castleberry's blog) and here's why I'm keeping it. My friends and regular readers like it 🙂 Even though it has little impact on SEO or SERP – it leave an impression on humans. The good thing is that I moderate comments so anything weird gets tossed. Personally I don't leave keywords after my name on comments anymore because #1 my name speaks for itself as far as keywords are concerned #2 my url contains the keywords I want to target anyway. Another point is this since I installed GASP I greatly reduced the amount of spam (zero spambots and a small number of human spammers) and I have NOT seen any increase in human spam, since installing the keywords plugin. Thanks for the topic Nile, great discussion too. My recent post Market Samurai – Great for Keyword Research and More! Hi, Nile. I am not really well-versed with Keyword Luv or even CommentLuv when it comes to my own site because it is run by Joomla, but i have encountered a lot of blog sites that use them. As a blog commentator, I usually go by the rules of a blog site. If it allows me to use keywords as username, then I take advantage of it, leaving my name at the end of my comment. If not, then I use my name. I respect what the blog site owners want, because I believe I want that as well when it comes to my own site. I think Nile has a point if done the correct way, it just makes the commentor look spammy, and almost always makes all the other blog comments seem less important at first glance. I guess from an SEO standpoint it’s great to get my targeted keyword, but I think the best approach is to see it as a link is a link is a link, and add value to the conversation. I think everyone will agree if they read something interesting even a comment, they will look to find more about the author. And this usually converts better in the long run than one target keyword in a comment section. I honestly think that Commentluv is a great way to attract good comments, which will really contribute to the discussion. With that said, we’ve been talking about it for a while now and most bloggers still look down upon it. I’d say that if you are commited to your blog, you’d have nothing to fear and commentluv can become a great tool. I personally do not have a blog site, only an online shop and I'm using blog commenting as part of marketing my shop. I used to only comment on dofollow blogs, blogs with the keywordluv plugin. Unfortunately there are not too many dofollow blogs for my niche and leaving comments on other sites did not take me anywhere or help to improve my rankings in the SERP's. So I started to just give ZERO on if a blog is follow or nofollow but made sure the blog I was commenting on, was related to my niche. And what happened – I saw improvements in my rankings although 99.9% of those blogs are all nofollow blogs. A dofollow link from a blog comment still receives some juice, not really much but some but if that blog is not related to your site's niche, it is not much more worth than a nofollow link. Actually a nofollow link from a related site is even more worth. If a blogger approves my comment, so this tells me, the comment is really appreciated. If additionally this blogger has installed the keywordluv plugin, so this shows me the comments are even more appreciated. But if the same blogger removes the follow link a few weeks later and only used the plugin to attract visitors and to get lots of comments, so that blog is not worth my time and that blogger is not very social. Believe me, I have noticed that practice on several blogs. I have one rule set up for myself, which is not to leave any spammy sounding comments and I always use my initials plus the @ key and my keywords in the name field but sign every post with my name. I don't see why I would have to hide behind keywords. If I had a blog myself, I wouldn't like to see just keywords as the bloggers name. This is very impersonal and unsocial, especially if the commenter wouldn't even leave the real name in his/her comment. Like I said before, I think the keywordluv plugin is a nice plugin to show appreciation but for sure not good for people they don't monitor their comments. 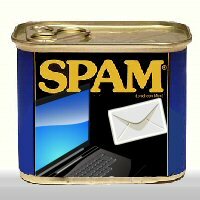 Those blogs will be swamped by spammers if there is no good spam blocker installed. Sorry for the long post and Thanks for allowing me to voice 2 cents on this subject. Some really interesting coments about the plugins that are used on this site. They really are a useful tool for all involved. 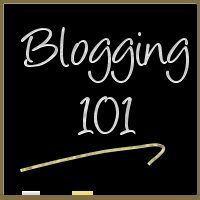 I find it interesting reading what everyone has to say about the whole concept of blogging! Actually, I believe KeywordLuv is necessary in combination with lots of spam blocking plugins. I just shut off the comment section on my blog as lame comments just never stopped. Hope I do better. I think either comment luv and key word luv are good to boost traffic onto your site which will help your rating overall! So many CommentLuv links are nofollow. You dont see that with KeywordLuv. For that reason I think it's a better plugin. Surely a backlink is a backlink is a backlink? to your page, as far as google is concerned, no? I did hear it helps with seo, so must be worth doing. It has it's benefits although you do hit the nail on the head with the blog comments being for engagement rather than seo benefit. Blog commenting is the good strategy for SEO purpose. blog commenting is the good process for making back links.commenting on keyword luv and comment luv enables blogs are good way to find free back links.keyword luv is a WordPress plugin and have a purpose is to let you choose your keywords for your link anchor text. A Keyword Luv enables blog provides you back links and more traffic in the form of cover section with keywords that you can choose.for this you just have to find blogs which have keyword luv plugin enables and make relevant and meaningful comment on them. But if you want to get more comments on your blog, it might be a good idea to install it on your own blog too. Any kind of comments that have value are good for the reader, the site owner and the poster. Keywordluv is a great tool. i dont agree with you. Keywordluv is really necessary. thank you for your discussion. Unfortunately, if not done right, KeywordLuv really does nothing but make the commenter look like they are spamming. For example, I ask (and many other bloggers too) that you leave your name and then @ Your keyword here. This leaves more of a person behind the site and more transparent, and more likely that their comment is approved. I heard keywordluv was made with the intention that it will help to reduce spam but here the image is completely changed. Anyway i like your advice “Most of the meat and potatoes in getting link juice is within the article itself and not the comments.” Thank you for reporting the fact about keywordluv. I think keyword love is to much necessary. It’s my opinion, but some one cannot trust. Thanks a lot for excellent discussion. Wanted to leave a comment to say love the graphic work at the top, looks really cool. Did you do that yourself or did you buy it? Is KeywordLuv Really Necessary? i also agree its really necesarry for website readers.. those are going to negative so plz dont do this..
Keywordluv is absolutely an essential plugin for any blogs. Using of it helps in to key in a real name and also the keyword, and blog owners can easily reply to their comment posters mentioning their name rather using their business name. My blog has it enabled long back and I have some real quality visitors making meaningful comments. This debate has been going on for a while now but I still find it relevant. Well to speak the truth, it is not necessary BUT it can be a useful tool to get people to learn/discover your blog/website. If done properly, spam can be minimised. keywordlur not spammers will always find a way to profit from online resources. Thank you Nile for sharing your point of view on this complex subject. I think that so many reputed blogs are using it so this not harmful. I have only one blog that’s why I am not using it, but in my next blog I will use it. Thanks.